Toxies at IFMA 2007Cologne. Visit us at our stand D-061 (hall 7). Live at the IFMA testing track, you will experience, how easy and comfortable you ride our brand new comfort-cruiser Toxy-CR with 8 (200mm) suspension travel. 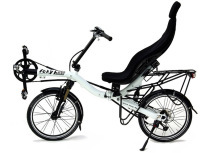  Or enjoy the fascination of spontaneous acceleration and human powered speed at our ultra lowracer Toxy-ZR. 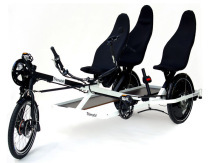 These two new models mark the corner points of our wide range of Toxy recumbent models and functional accessories for journeys, commuting and sports. 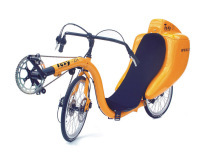 For your IFMA preview, you will find all our current Toxy product information in English (or German) at our website www.recumbent-shop.com  ready for download. We look forward to your visit at our IFMA stand D61 (hall 7)!